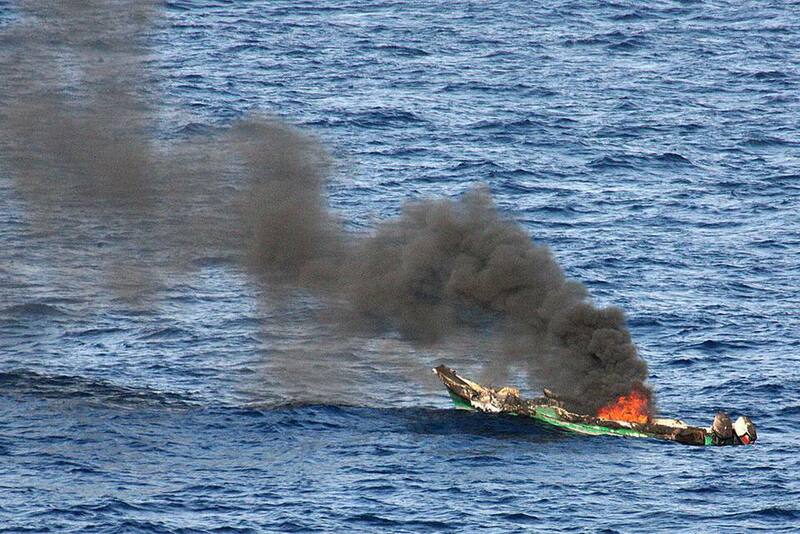 Somali pirates made headline news at an alarmingly regular rate until the summer of 2012. It looks like the party may be over, and the hangover will be severe for those living in Puntland. It appears that international efforts to stop the pirates from boarding any ship that came along and demanding millions in ransom is starting to pay off. Even "Big Mouth" recently quite the business. And not a moment too soon, since pirates had even begun to affect the tourism industry along Kenya's coast with a couple of frightening cases of kidnapping from beach resorts. Find out who these modern day pirates are, where and how they operate, and why they turned from fishing to piracy. They may have to swap their guns for nets once again in 2013. According to a recent BBC report, Somali pirates seized a record 1,181 hostages in 2010 and were paid many millions of dollars in ransom. In the Fall of 2011, more than 300 hundred people were being held hostage by various pirate groups based in Somalia. 11.04.2009: 1240 UTC: Posn: 00:18.2N - 051:44.3E, About 285 nm east of Mogadishu, Somalia. Eight pirates armed with guns and RPG in two skiffs, launched by a pirate mother vessel, attacked a container ship underway. Master increased speed to 22.8 knots and the skiffs followed at 23.5 knots. They approach very close and fired upon the ship. Master made evasive maneuvers and prevented the boarding. Where do Somali Pirates Operate? Somalia has a huge coastline (see map), wrapped around the Horn of Africa. In 2008 many pirate attacks were launched in the narrow channel known as The Gulf of Aden. In response to these attacks and the economic effect they were having on this popular shipping channel, a fleet of international warships are now on daily patrol. Pirates are now known to be using "mother ships" so they can launch attacks further out at sea. Have a look at this international piracy map for a graphic overview of all the latest piracy attempts. Somali pirates don't wear eye patches, and instead of swords, they have RPGs (rocket-propelled grenades). They use small, fast speedboats to get around and work with crews of 10 or so. Once they find a good target, they launch hooks and rope ladders up to board the ship and overwhelm the crew. They often attack at night. In 2008, 40 ships were successfully captured and ransoms were paid ranging from $500,000 to $2 million. In 2010, 49 ships were hijacked off the coast of Somalia (out of a total of 53 worldwide). Quite the incentive for poor fishermen living in a war-torn African country. Successful pirates live well, they marry beautiful women, drive big cars, build big houses, and buy increasingly sophisticated weapons. Somali pirates have accountants, lend money to businessmen, and are basically running the economy of the autonomous region of Puntland. A BBC report in January 2012 claims that pirates have boosted the Somali economy significantly, but not all of it has trickled down to the coastal communities. Just feeding and housing the hijacked crews helps sustain the economy in Puntland. A BBC report filed in September 2008 talks about life in a Somali pirate town: "Eyl has become a town tailor-made for pirates - and their hostages. Special restaurants have even been set up to prepare food for the crews of the hijacked ships. As the pirates want ransom payments, they try to look after their hostages." In a recent report, BBC Somalia analyst Mohamed Mohamed says pirates are a combination of ex-fisherman, ex-militia, and computer geeks. There's no use hijacking a huge ship if you don't know how the radio works and therefore can't demand your ransom. Pirates also have to know how to use GPS. Somali pirates don't see themselves as the bad guys. A pirate interviewed by the New York Times said: "We don't consider ourselves sea bandits. We consider sea bandits those who illegally fish in our seas and dump waste in our seas and carry weapons in our seas. We are simply patrolling our seas. Think of us like a coast guard." The article continues -- "Somalia's central government imploded in 1991, casting the country into chaos. With no patrols along the shoreline, Somalia's tuna-rich waters were soon plundered by commercial fishing fleets from around the world. Somali fishermen armed themselves and turned into vigilantes by confronting illegal fishing boats and demanding that they pay a tax". Also, check out this video by rap artist K'Naan for a very articulate Somali opinion about piracy. Why Doesn't Somalia's Government Act? Somalia doesn't take action against these pirates, nor can they register complaints from ships that are attacked, since it has a barely functioning government. A few years ago, there was no government at all. The current Somali government would like to help but in reality, they're not even in complete control of the capital Mogadishu, let alone a region like Puntland. Any Hope of Stopping The Pirates? In response to an upsurge of attacks in the Gulf of Aden in late 2008, international forces have been patrolling the area. It seemed to work in 2009, with hijackings down to around 41 for the first 4 months of the year. However, in 2010 a reported 1,181 hostages were seized by pirates with millions of dollars paid in ransom as a result. By 2012, international naval patrols in the Gulf of Aden were making it difficult for Somali pirates to launch attacks. But, at least 40 vessels and more than 400 hostages are still being held in or just off Somalia, according to the Ecoterra International group which monitors piracy in the region. For ships further out at sea, it's up to the captains to try and out maneuver, these pirates in speedboats, hose them down with fire houses, and even fire back. Insurance premiums on ships in this area are running at an all-time high. And there are still lots of pesky international laws that don't allow any navy ships to just come in and shoot at a non-military vessel. The area where most of the pirates operate is about four times the size of Texas, so logistically it's difficult to ensure a safe passage for every ship in these waters. There's also the issue of the crew and keeping them safe. It's difficult to shoot at the pirates without harming the captured crew. The Indian army shot at what they thought was a pirate vessel in November 2008, it turned out to belong to the Thais and several crew members were injured in the attack. See the whole story. Since 2011 some pirates have been captured and six stood trial in Paris in November 2011. By late 2012, the Pirate Party was declared to be almost over -- Party Over For Somali Pirates? - AP. The party may just move to an alternate location, or perhaps the pirates will settle back into fishing. The Khat industry is still booming, I personally wouldn't be surprised if they checked into that. Obviously, a safer and more stable Somalia is the real solution and would make much of this go away. Getting an effective government in place should be the first step.